finding solutions for even their most demanding tasks. Christiane Göke, Sales Department employee and working for you since 1997. Preparation creates security. Together with my team, I optimise production processes. Standard unload systems and individual applications to suit your requirements. We are a leading manufacturer of automation solutions. Here in Faulbach we produce loading and unloading solutions for machine tools. Sliding or fixed headstock lathes, single-spindle or multi-spindle lathes – FMB offers the optimum bar loading magazine or workpiece unloading system for all uses and requirements. We are also an experienced and innovative partner in the field of industrial robots. Under the brand name of UNIROBOT we produce handling systems tailored to customers’ requirements, with individual gripper systems and a range of different parts storage concepts. We have also designed our own safety fence system for the robot cell. UNIPROTECT is suitable for all industrial robot systems. We also offer workpiece measuring systems from our UNIPROVE range of products. 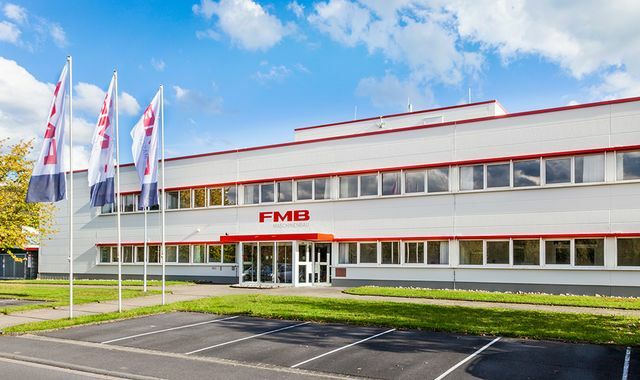 FMB Maschinenbau provides a complete solution from a single supplier – engineering, manufacturing, commissioning and training. Call us now – we’re always happy to help.